Are you a trend trader? 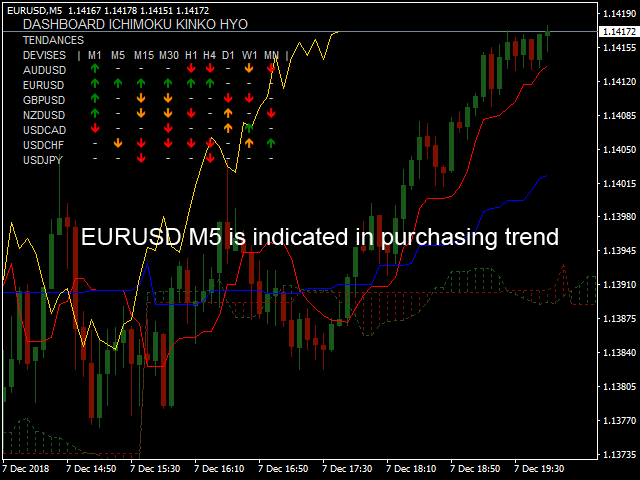 This scanner for the MT4 platform will be your best asset! 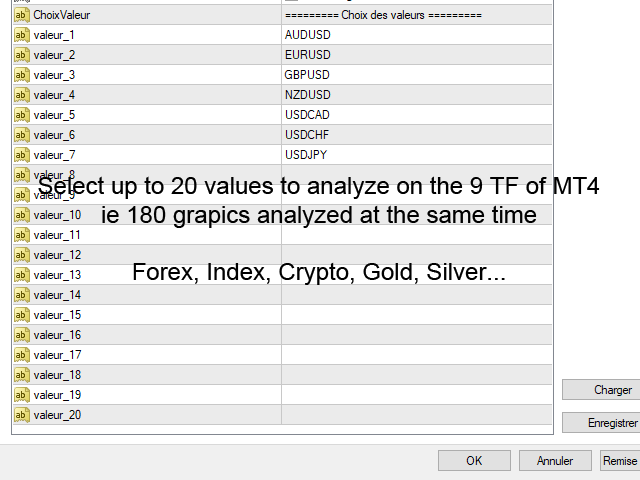 In a single window, scan up to 20 values ​​and 9 time units available on MetaTrader4 or 180 graphs analyzed at the same time and in real time. 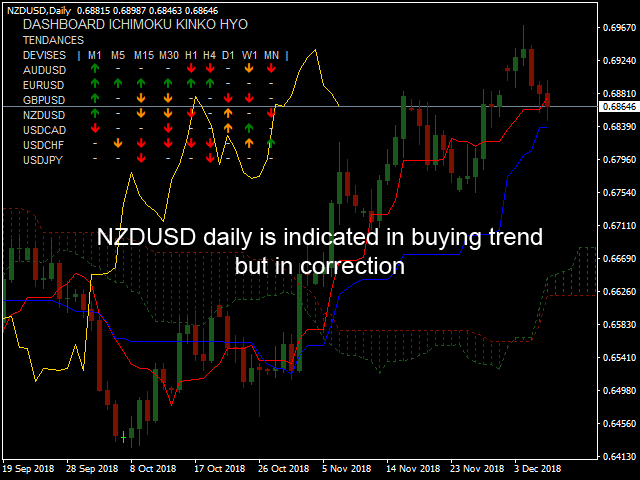 Whether you're trading horizontal resistors or bouncing support, the DashBoard Ichimoku Trend is a tool you absolutely need! 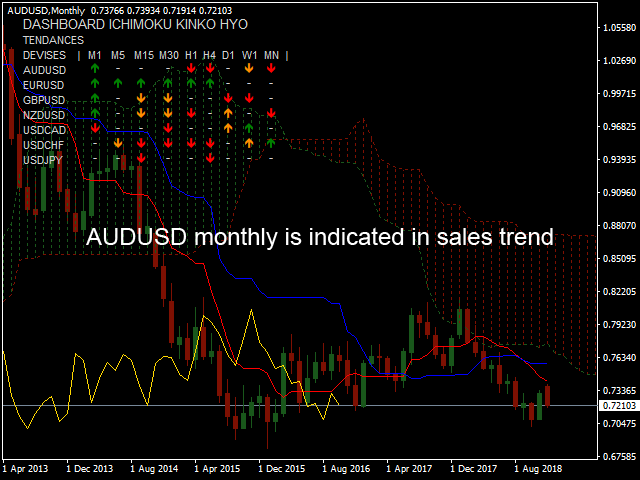 Here is how the DashBoard Ichimoku Trend looks. The green and red arrows indicate a tendency well identified by the lines of the ichimoku, the direction of the arrows indicates the direction of the movement. 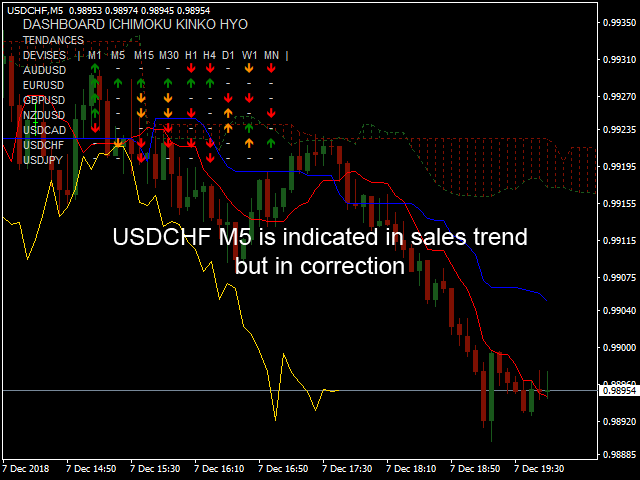 The orange arrows indicate a phase of correction of the tendency with a price which corrects by ironing its tenkan. 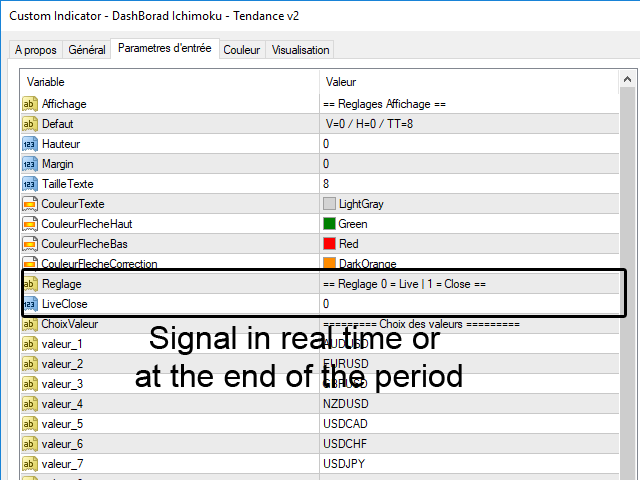 From the parameter window you can choose up to 20 values ​​to scan. But that's not all, you also have the ability to change the visual appearance of the DashBoard by changing the size and color of text, adjust the spaces between the signals as well as change their colors and even choose if you wish to be informed in real time or at the end of the period.